Still using my trusty little Mordaunt Short MS10i Speakers. Gosh, I bought them nearly 7 years ago now. Amazing that I've still kept them after selling so many other speakers! For CD, I'm using a Technics SL-PS620A. Nothing too much to write home about, but it does the job. Will get some pics up in a couple days. Was planning on picking up a Unison Unico in the new year, but this is no longer going to happen. For now I'll just ''make do'' with my current amplifier. I'm always keeping my eye out on the local hifi horizon. Finding decent secondhand Hi-Fi in Torquay can be hard sometimes. The audio buffs down in Exeter/beyond have better chances of finding nice kit locally, bloody bastards! Got a Schiit Mani 3 on it's way. I really rate Schiit products. Great VFM. Must get some pics up when I have time. 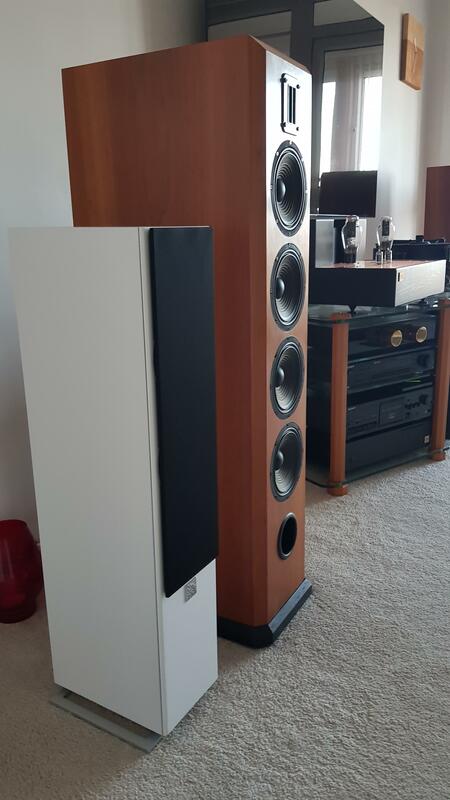 Got some Q Acoustics 2010i Speakers here. Not a huge fan of their '2010' family, but I'll give these 2010i a chance. Not sure how long I'll keep them for though? Probably looking at least a couple months. If all turns out good, well who knows, maybe endgame, eh? That's what we're all after but rarely get there. Not sure how to really describe this amp. Need to spend more time listening to know its true colors. Prior I was using an Exposure 2010S2, now that is a good little amp. Should have kept it, hey ho! Nothing has changed in my system yet. Haven't had the time to sit down and listen to some tunes lately. Toying around with the idea of getting some Dali speakers, possibly before Summer season comes along. 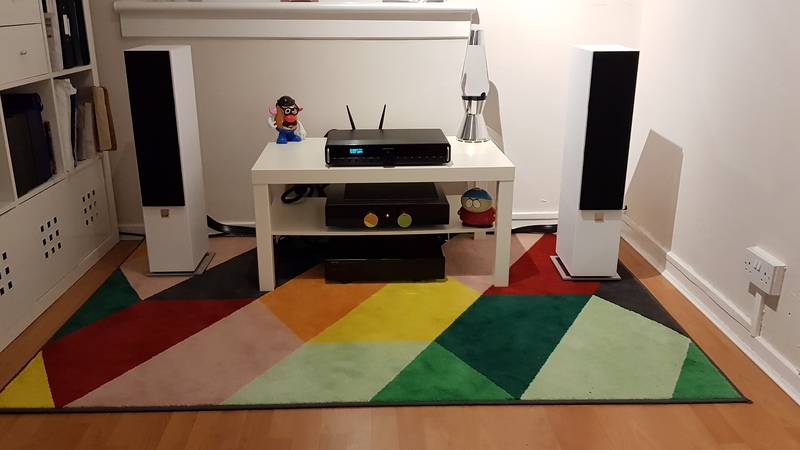 strong reccy here for the Dali Zensor 5 small floorstanders, picked up a set for the office system and despite their small size they perform a magic trick with a rich deep bass and very clear mid and top end. Great little things, got mine in white to match the room. Nice office system, Gaz! Is that another Densen? Oh, and what's that Sony stuff in your main system?